Match your kitchen decor with one of my custom items. Have you redone your kitchen in a 30's to 60's style and now you need some usable vintage appliances to add that finishing touch? Decodan can help you find what you need. I have supplied or sold vintage appliances for the movies Mona Lisa Smile and Julie & Julia, The Today Show, This Old House Magazine, KitchenAid and others for set displays, movie productions and company museums. My products have been featured in several publications. Decodan has appeared on the TV show "Unwrapped" on The Food Network. The episode name was, "Machines Unwrapped". Also on the Public Television Network on the show, "Tennessee Crossroads"
Mixer to right is the rare Chrome Model 10C Sunbeam. Only a few were produced as prototypes to the full production Chrome Model 11C. To the left is a Westinghouse FoodCrafter. The bowls were china made by the Hall Co. with a black glaze outside and white glaze inside. The juicer bowl was glass. It is a deep amethyst or cobalt blue giving it the appearance of black. This mixer was done for a friend, thanks Rich ~aka~ Philacollect. I can recondition many different models and types for you too. Just email me to inquire about cost and time frame. 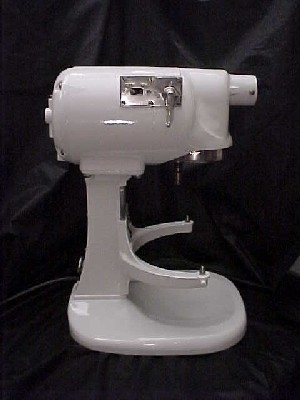 To the left is one of the first KitchenAid home mixers. According to KitchenAid production started in 1915 and went to 1927. This is the KitchenAid Model H-5. It has 5 quart bowls with lift handle and power hub for attachments. This unit sold for $189.50 in 1915, no attachments included. Surely the top of the line at the time. Solid cast iron construction. It has been through the Decodan process. 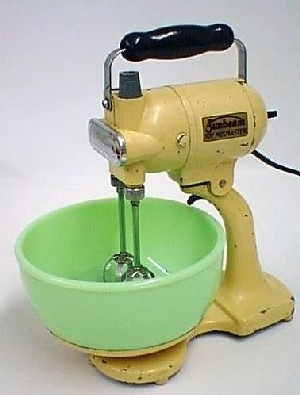 I acquired this mixer from a dealer (thanks, Linda) who bought it from the estate of the original owner. 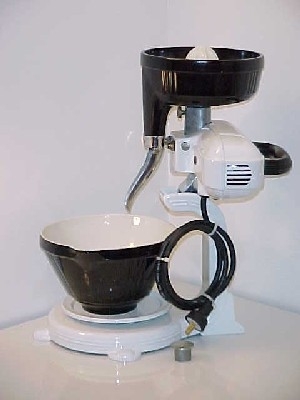 It came with 4 bowls; bowl lift handle; pour chute; splash guard; 2 beaters; whisk; dough hook; pastry knife; juicer attachment; food grinder; pelican head with slicer, shredder and ice chopper; can opener and a spare set of brushes. This was a custom match color, as close to original as possible. 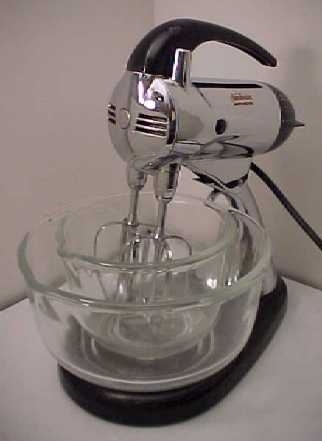 This mixer was sold back to KitchenAid for display at their headquarters. Production started in 1927 and this example was produced early in the production run. 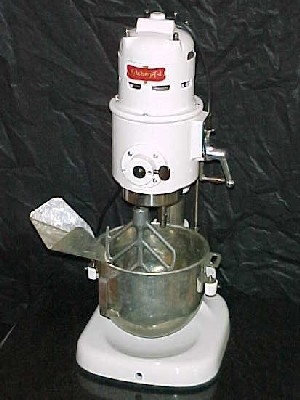 This model is the predecessor to the modern model K5SS mixer. It was also a 5 quart bowl with planetary mixing action. 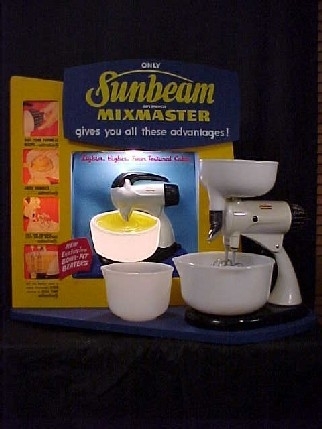 As you can see the mixer changed quite a bit from the previous model pictured above. Besides changing from vertical to horizontal, it also changed casting material and weighed in at less than half the weight of the Model H.
Thanks to Tom for letting me restore his Mother's original mixer.